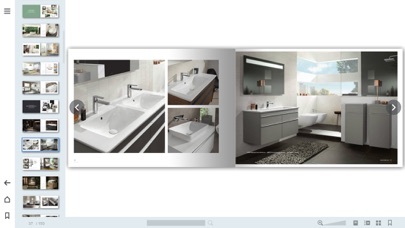 Experience the Villeroy & Boch world of bathrooms and wellness, with a wide range of different collections and exceptional design. 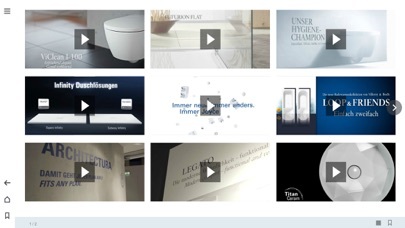 In this app, you will find interactive brochures and videos about all that Villeroy & Boch has to offer for your bathroom and wellness experience. 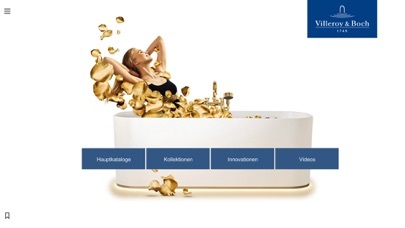 Find out about Villeroy & Boch’s high-quality bathroom and wellness products. You will be amazed how easy it is to turn a merely functional bathroom into a peaceful, relaxing space. High-quality bathtubs and whirlpools invite you to relax, while beautifully designed wash-hand basins and mirrors can make even brushing your teeth in the morning a special experience. Innovations such as the rimless DirectFlush WC make cleaning and maintaining cleanliness easier. Space-saving bathtubs, wash-hand basins and shelf cabinets also enable every corner of a small bathroom to be put to optimal use. Also, if the bathroom is the first place you visit in the morning, you can make sure this one of the nicest experiences of the day!